Karen Kelly has over twenty years of hands-on experience in chartering and managing yachts. Karen has coordinated events from celebrities to corporate events charters. Having lived in Europe as a ski instructor in the Alps, Karen has a flair for European lifestyle and expectation. Holding a degree in Business Management helped to establish a successful waterfront Charter and Management company in Newport Beach, California prior to moving to Florida. Yachts offered for charter at All Yachts Worldwide are all personally inspected to ensure that the brochure, crew profile and specification sheet are accurate and up to date. Itineraries are created through personal experiences on board Yachts, and assistance from seasoned Captains. At All Yachts Worldwide, we are available seven days a week, twenty four hours a day, year round to handle all your charter needs. Whatever your needs or desires may be, we will ensure that your trip is personally tailor made to exceed your expectations. Choosing one of our charter Yachts offers you the opportunity for new experiences, while enjoying five star service and luxurious surroundings from the security of your exclusive yacht and professional crew. A knowledgeable and attentive staff creates a hassle free holiday for you by handling chartering requirements. An experienced crew - one of the most important aspects of a charter yacht - is provided with the assistance and professional services that are needed to make dreams come true. The yachts listed on this site are only a sample of the yachts available. An early riser would wake in time to have coffee on the aft deck to watch the sunrise. Mid morning, take a swim in the warm turquoise sea, and then have a gourment brunch on the fly bridge in the open air. 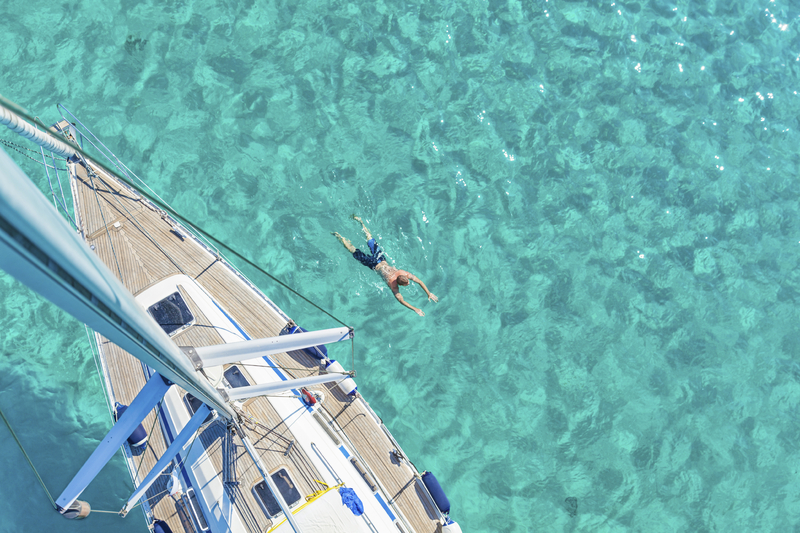 Around noontime, jump in the tender with your picnic lunch the chef has prepared for you and take off to a deserted island beach for sunning, exploring, napping, or just relaxing. Return to your yacht midday to curl up with a book on deck, or launch the jetski for some fun. Evening comes and the crew has prepared your favorite hors d'oeuvres and cocktails for happy hour just before you venture into your port for dinner at the luxury resort and nightlife and dancing in town.